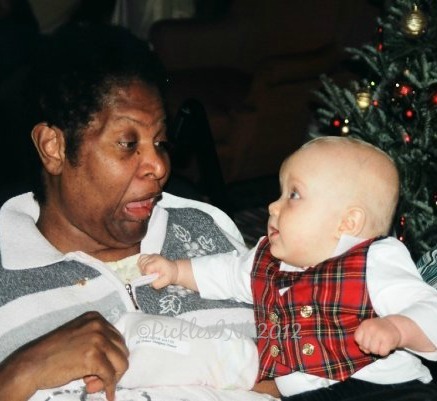 My family often eats ham on New Year’s Eve. This year we were up at the chalet and I was in charge of groceries so I (deliberately) went a little overboard and got an enormous bone-in, spiral cut, cooked ham. For the dinner itself, I heated the ham in the oven and served it with two salads, a green salad with diced apple and celery and vinaigrette, and a chopped cherry tomato and avocado salad with balsamic vinegar and olive oil. For dessert I made Dump Cake, which is a classic kid-chef-friendly recipe. I’ve seen the recipe a few places with a few variations (ie. adding nuts or chocolate chips), but the basic instructions are: Dump into a baking pan, in this order (without stirring, but try to spread the layers evenly), 1 can undrained crushed pineapple, 1 can fruit pie filling (I used strawberry rhubarb), and 1 box yellow cake mix; top with 2 sticks of butter each cut into 12 slices; and bake for 1 hour at 350°F. It comes out as more of a cobbler than a cake and is absolutely delicious, hot or cold. 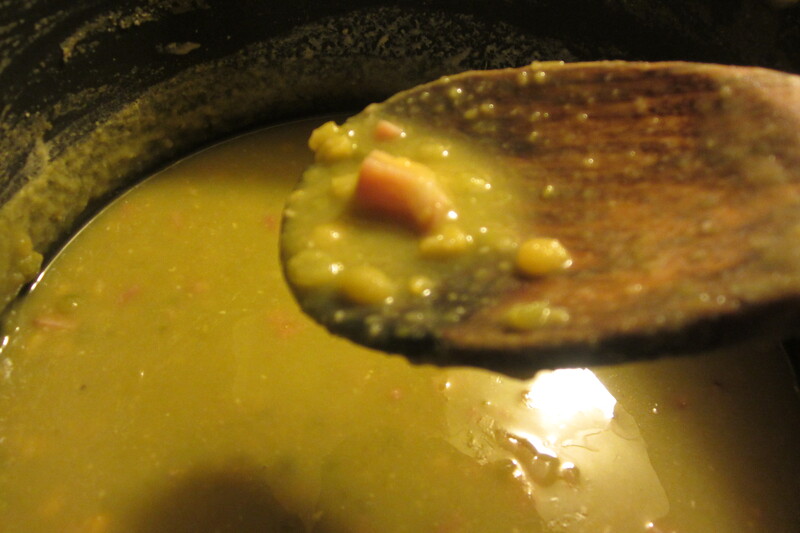 When I came home, I had about 2/3 of the ham, including the bone, left, and I have made making the most (so to speak) of the leftovers, and let me tell you, they have been tasting souper…heheheh. I started by cutting the ham off the bone as closely as I could and dicing it. I used about half of that ham to make my first soup, ham, leek, and potato. Sadly, I was engrossed in the process and forgot to take pictures of that one. 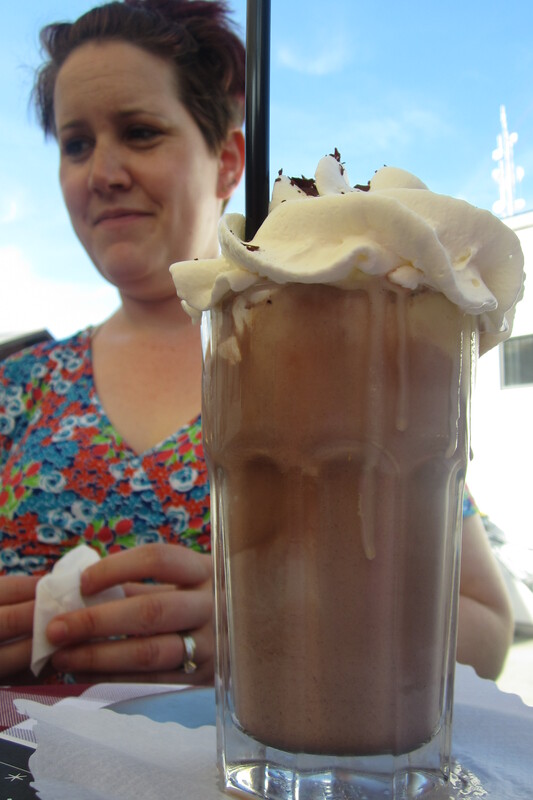 Please take my word for it – it looked a-FREAKING-mazing. Cook the leeks and ham in a little bit of oil in large pot until leeks are soft and slightly browned. Dump everything else into the pot. 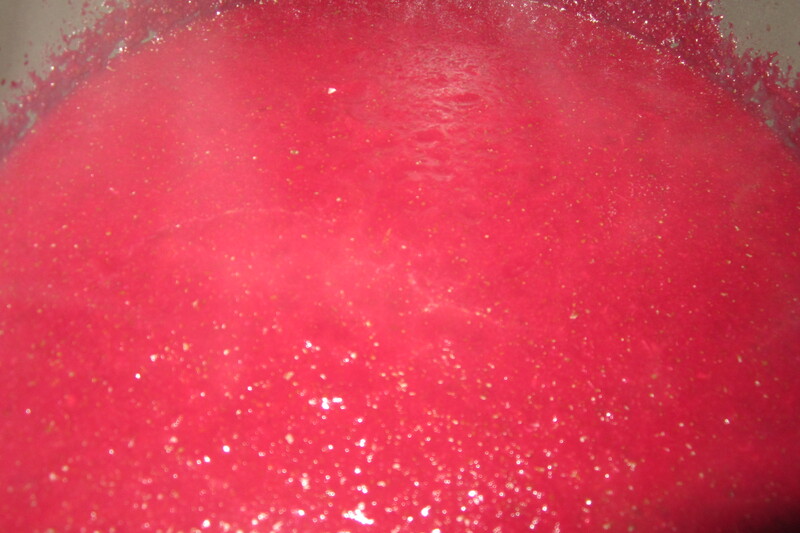 Bring to a boil and then lower to a gentle simmer. Leave it alone for an hour or so. Come back and add some cream and a cornstarch slurry if you like a thick soup. 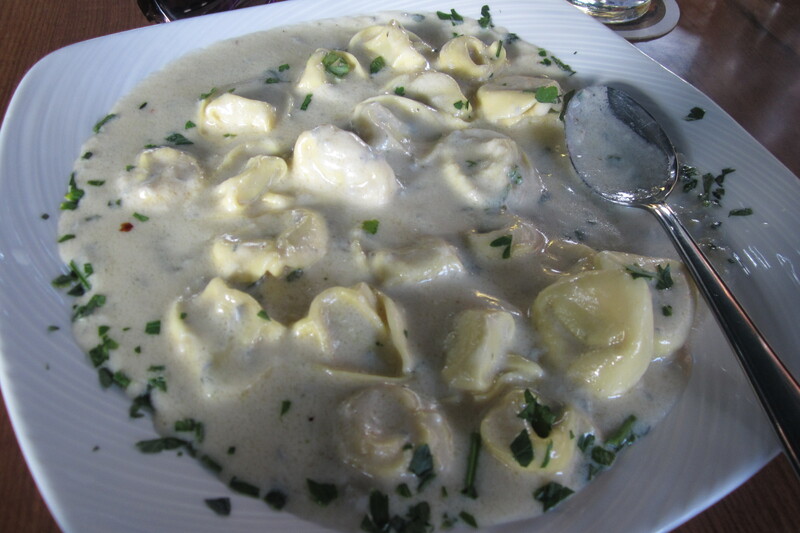 Serve with a really lovely artisanal bread, preferably potato scallion or whole garlic clove or the like. While that soup was simmering, I used a little bit of the remaining diced ham to make dinner for the kids – “Dora’s Empanadas” from the Dora and Diego Let’s Cook cookbook that Molly got for Christmas from her cousins. Basically, you make a filling out of diced stuff (I used carrots, peas, ham, and grated cheese), cut circles of of refrigerated pre-made pie crust, fill, fold over pastry and seal edges, and bake for 12-14 minutes at 400°F. I put the rest of the diced ham in a large freezer bag and froze it. Finally, I made ham stock: I put the ham-bone in a large pot, added about a handful each of roughly chopped carrot, onion, and celery and a handful of bay leaves and peppercorns, filled the pot with water, turned on the heat and left it all to simmer for hours and hours and hours. After what was probably actually 2-3 hours, I turned off the heat and left it to cool, then strained it and poured it into containers to freeze. It made about 8 cups of stock in all. Phew! That was the end of my January 2nd. 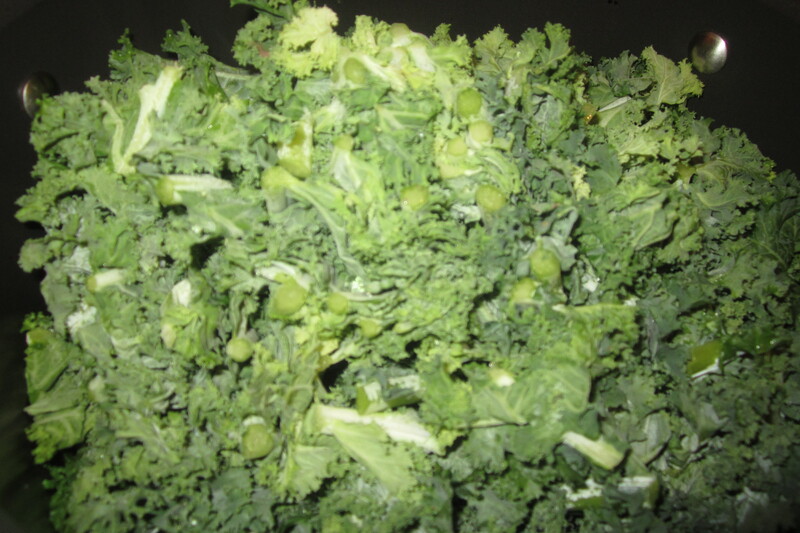 Dump vegetables except for kale into a roasting pan, drizzle with olive oil and season with salt and fresh-ground pepper. Roast in 450°F oven until soft enough to pierce with a fork, about 45 minutes. Some of the vegetables post-roasting. Scoop vegetables into large pot. Deglaze roasting pan with a little bit of water to get every last bit of roasty goodness and dump that liquid into the pot too. 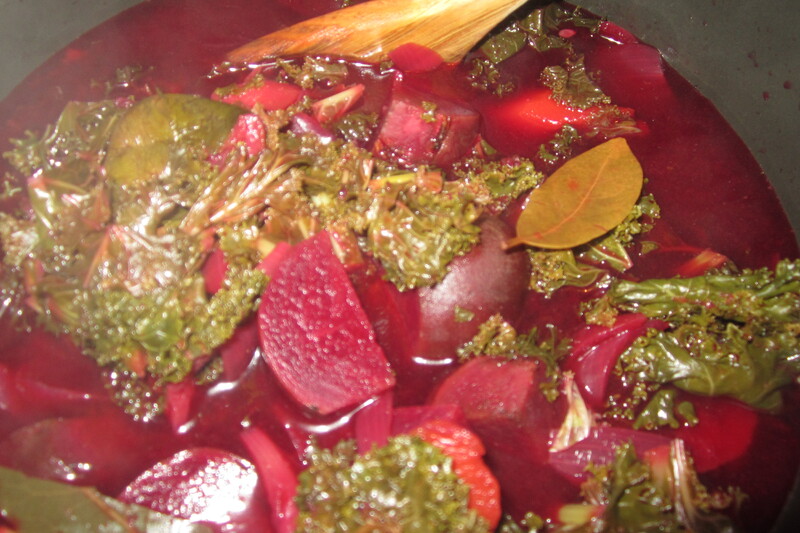 Add enough ham stock, red wine, cider, and water to cover vegetables. (This could of course be made vegetarian and/or alcohol-free using vegetable stock and/or more cider or other juice.) 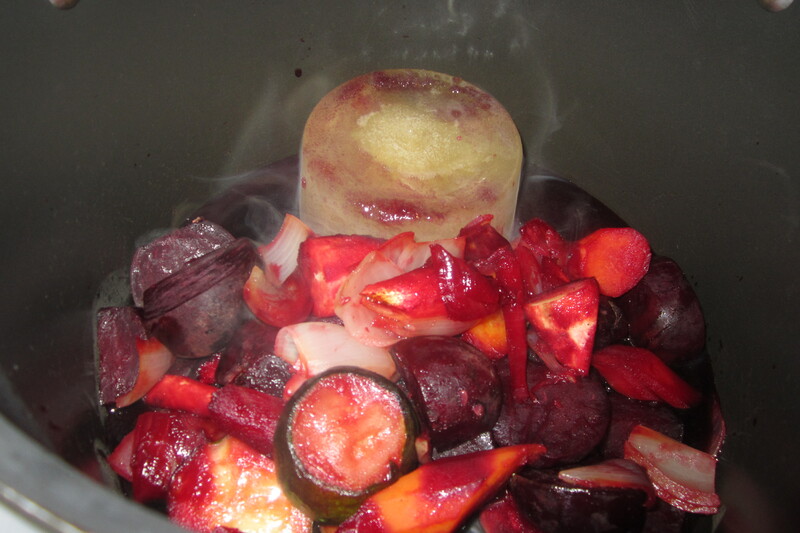 My ham stock and red wine were both frozen, so I just dumped in the cubes and let them melt on the stove. NB – I freeze my leftover wine before it goes bad. 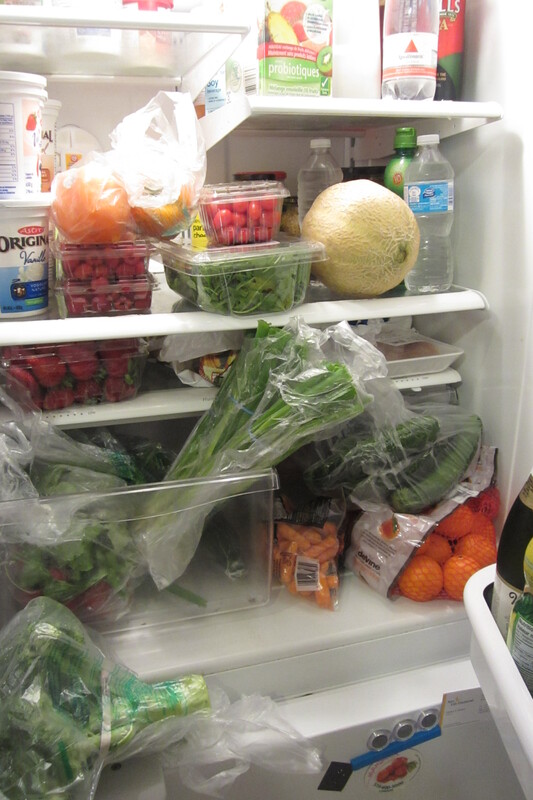 I have seen it suggested that you freeze it in ice cube trays and then store in freezer bags. I tried that and it leaked EVERYWHERE – wine doesn’t freeze completely and the slushy-liquidness will find the tiniest hold in your bag. Now I freeze it in plastic containers. Roasted vegetables in soup pot with frozen ham stock. Masses of kale covering everything else. Toss in a few bay leaves, put a lid on it, and leave it to simmer for a couple of hours. 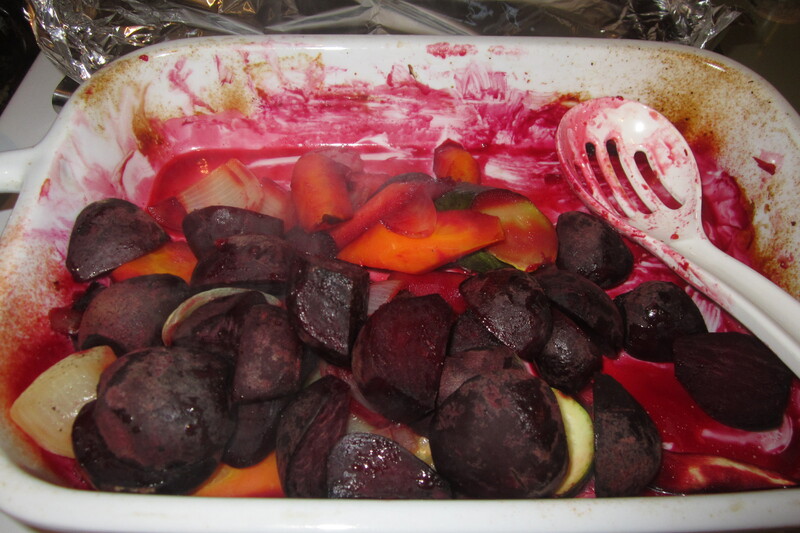 When it looks and smells lovely (assuming you like beets – otherwise, when it looks and smells revolting, but if you don’t like beets I have to question your judgment in making this particular soup as I was pretty up front about the ingredients), puree with a hand blender. It should be really thick and hearty and purple and ready to stain anything it touches. If you don’t have a hand blender, let it cool, then transfer to a blender and puree, then transfer back to the pot and reheat why don’t you? Go to the store right now and get a freaking hand blender because it’s the greatest small kitchen appliance you will ever own, especially if you like making soup. 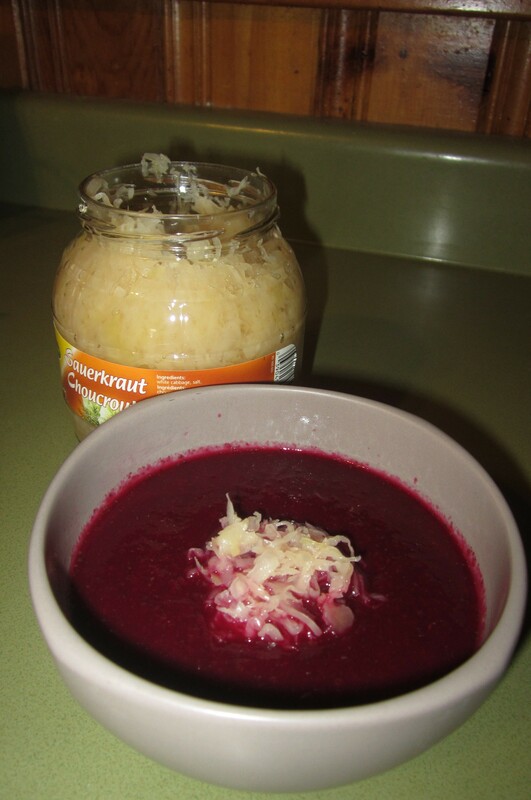 Ladle into a bowl, top with something a little sour like sauerkraut, sour cream, plain yoghurt, or blue cheese, and enjoy. Try not to eat it all in one sitting, though, because there is a curious physiological effect to eating a lot of beets at once. You’ve been warned. Anyway, this was the simplest of them all. Rinse and drain split peas and add to ham stock in large pot. Bring to a boil, then reduce to a simmer. Leave it alone for an hour. Puree a little (leave it lumpy) with your hand blender while whispering lovingly to said blender, “How could I ever have lived without you, my precious?” and then add the ham. Simmer a little longer to let all the flavours combine, then serve. It will thicken up quite a lot as it cools and be gorgeous and murky and pea-soupy and delicious. My notoriously picky eater, Ben (who has actually come A LONG WAY in the last few months) said, “Mommy, what are you making for dinner? It smells really yummy,” when he got home from school, and on tasting it, pronounced, “Mmm! This is really good! I LOVE this soup! Did you hear what I said? I don’t just like it, I love it! !” Molly said decidedly, “I DON’T like it,” and then proceeded to scrape her bowl clean before Ben was halfway through his. I call that a win all around! Sadly, I am now out of ham stock until I invest in another basketball-sized lump of pink goodness. Have you made it through your holiday leftovers? What did you do with them? Gee, Karyn, are there any dolls you actually do like?? I’m not all doom and gloom, privilege/oppression/whiteness/and-other-social-work-buzzwords. There are some good options out there if you’re willing to do some digging (or some sewing). I have a collection of dolls/hand puppets from when I was a teenager called “Treehuggers.” These were, in my opinion, the best rag dolls ever made. You could buy from the catalogue or place a custom order, choosing gender, eye shape (from a selection of buttons), hair colour and texture (yarn – straight, ravelled, dreadlocked, long, short), and skin colour. They also encouraged fine motor development through tie-able shoelaces, button fastenings on the clothing, and the fact that they could be used as dolls or hand puppets, making them excellent toys for children with special needs. Unfortunately, except for the odd Ebay listing, you can’t get them any more. If anyone reading this has mad sewing skills and wants to go into business, let’s talk! My collection of 4 Treehuggers dolls, each with different skin colour, hair colour and texture, and eye shape and colour. Cabbage Patch Kids are still available in black or white and as boys or girls. At the lower price point they have unfortunately gone to the glossy doll-hair but you can get the “original” version through the website for a price. Lots of the older ones are available in thrift stores though. and baby with no name. There is a line of dolls called “Hearts for Hearts Girls” that is reasonably affordable. Each doll represents different country and comes with a story book, friendship bracelet, web access code, and donation through World Vision to help girls in her country of origin. Unfortunately, in Canada they are exclusive to Walmart, which may turn off some consumers. They only have girls, but that does fit with their concept. I also quite like Groovy Girls – contrary to their name, there are boy dolls, and they come in many different skin tones and hair colours and textures (yarn). They have been around since 1998, so they would probably be available in second-hand shops as well for more variety. We have a great collection that was given to Molly by my cousin. My World Ethnic Doll Clothing, based in Toronto, Ontario, was founded by a Canadian teacher who wanted to provide parents with the opportunity to purchase doll clothes that represented their cultures. This website provides a wide variety of multicultural fashions, male and female, and androgynous dolls in 4 different skin tones. Prices are shockingly reasonable. 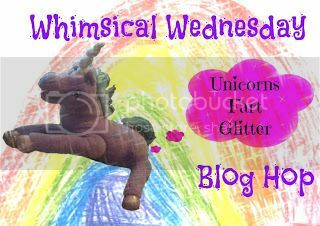 Kids Like Me, based in the UK, provides educational toys, books, and resources that embrace diversity, special needs and inclusion. Their online catalogue offers a variety of reasonably-priced multicultural rag dolls (boys and girls). Whether you are searching for a doll that looks like your own child, trying to find resources for your classroom or daycare, or looking for ways to promote diversity in your own home, there are definitely options available – in fact, more than I even realized when I started this post. I am Benjamin Pickles and I’m 5 1/2 years old and Ben is the short form for my name. 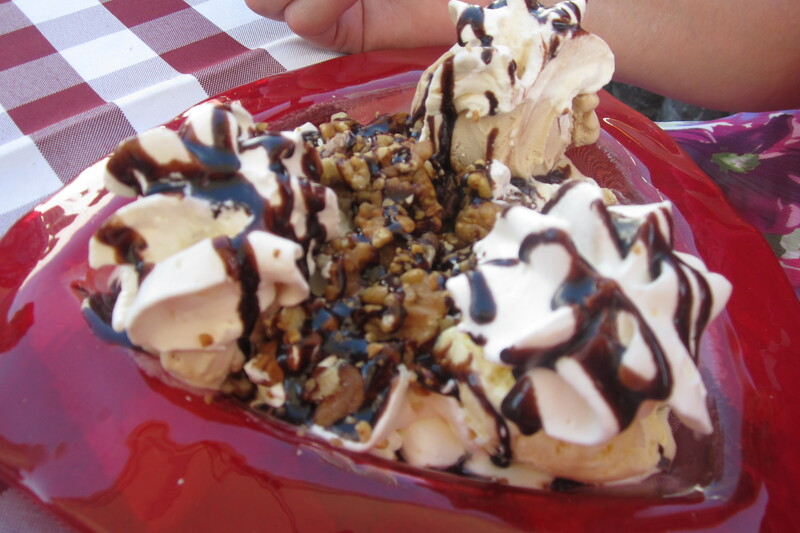 I got the idea for ice cream pizza from Team Umizoomi. This is a picture of Mili, Bot and Geo from Team Umizoomi. On one episode they had to pump up an ice cream truck because the ice cream truck had a flat tire and they also had to make another ice cream pizza because there were 4 kids that were waiting for ice cream pizzas and there were only 3 ice cream pizzas. That’s how I found out how to make an ice cream pizza. Second step: You need to put ice cream on the cookie. 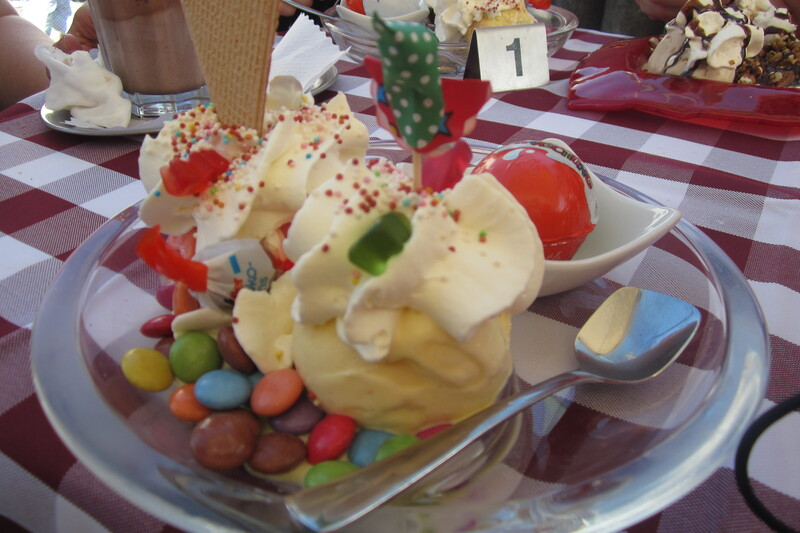 Third step: Put gummy candies on top of the ice cream on the cookie and you can put chocolate on it too. And after that it’s all done! After you’ve made it, you can eat it! 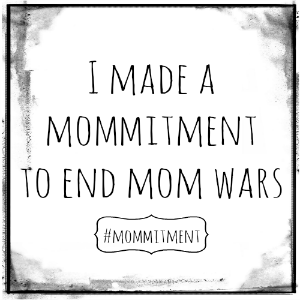 If you try out the recipe you might like it or if you have kids they might like it too. 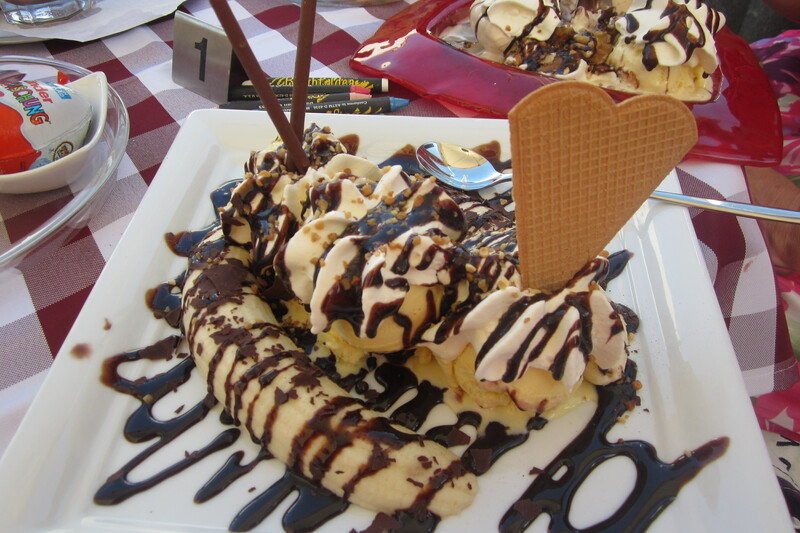 Ice cream pizza is one of my favourite things to eat for dessert and I hope that you will like it too! What do you think? Are you going to try it? Did you like it? One of the most successful strategies for dealing with picky eaters is the one around which Missy Chase Lapine, also known as “The Sneaky Chef” has built an empire – hiding “healthy” foods in foods with more picky kid appeal. Her first book includes recipes for a number of make-ahead purees in colours that will hide easily in various foods. For example, her Purple Puree becomes an invisible part of her Brainy Brownies. It’s a brilliant idea, and I sure wish I’d thought of and cashed in on it first!! 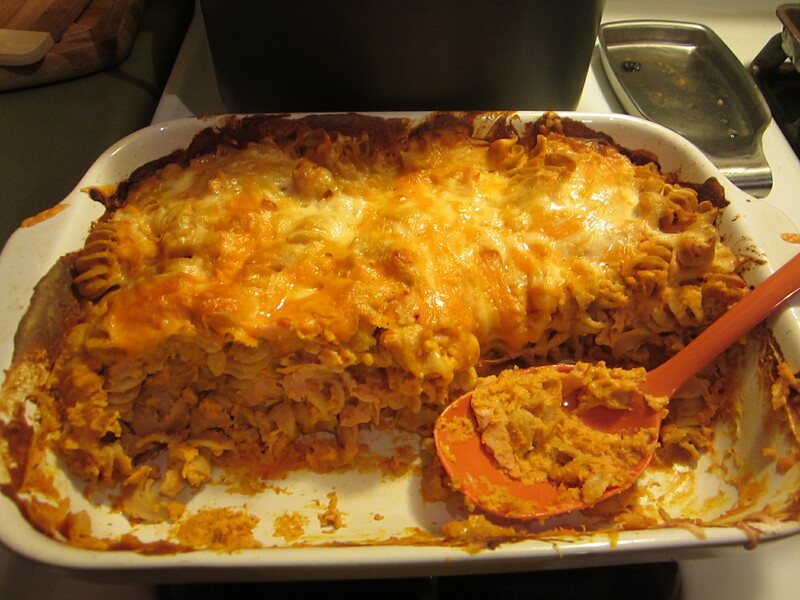 This week’s success story was a ham and cheese pasta bake, one of Ian’s family’s favourites growing up. It’s a delicious casserole dish full of cheesy yumminess, but incorporates no fruits or veggies, so usually they would have to be served on the side. For some reason, even though it is made entirely of stuff Ben LIKES (individually) pasta bake is guaranteed to provoke a dinnertime meltdown before he eats that crucial first bite…and a Ben dinnertime meltdown is guaranteed to provoke similar complaints from Molly even though she doesn’t actually mean them (“Yeah! I don’t like this too! *nom nom nom* It’s yucky! *nom nom nom*). Preheat oven to 375°F. Mix eggs and cream together. 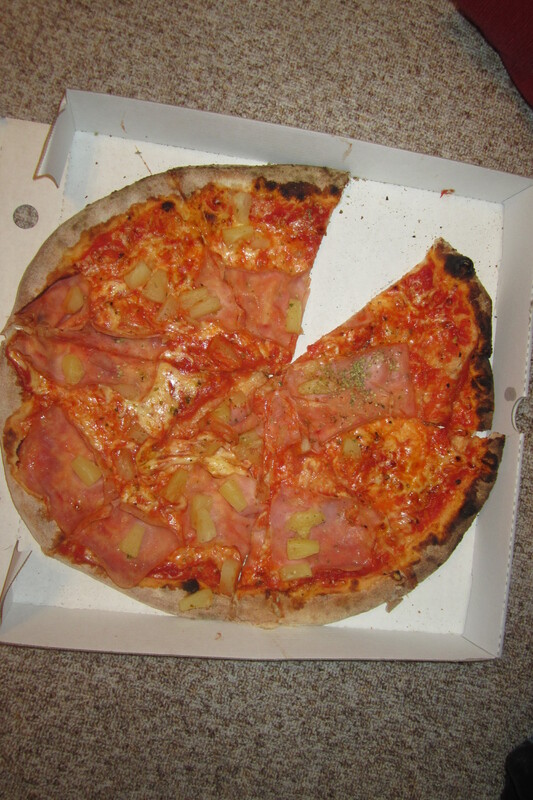 Mix in cheese (reserving ½ cup for top) and ham. Pour over pasta in a large casserole dish (or 2 smaller ones) and mix well. Top with remaining cheese. Bake in oven for 45-60 minutes or more if necessary to set filling. (The deeper the dish, the longer it will take.) Broil for a minute or so to brown top if desired. Top with fresh ground pepper for serving. The kids literally ate it up (and in this case, use of the word ‘literally’ will not make me figuratively insane!). I think I may have to bring it to market: Picky Pickles-Pleasing Pumpkin Puree Pasta – It’s so delicious I guarantee that the only thing melting down will be the cheese! 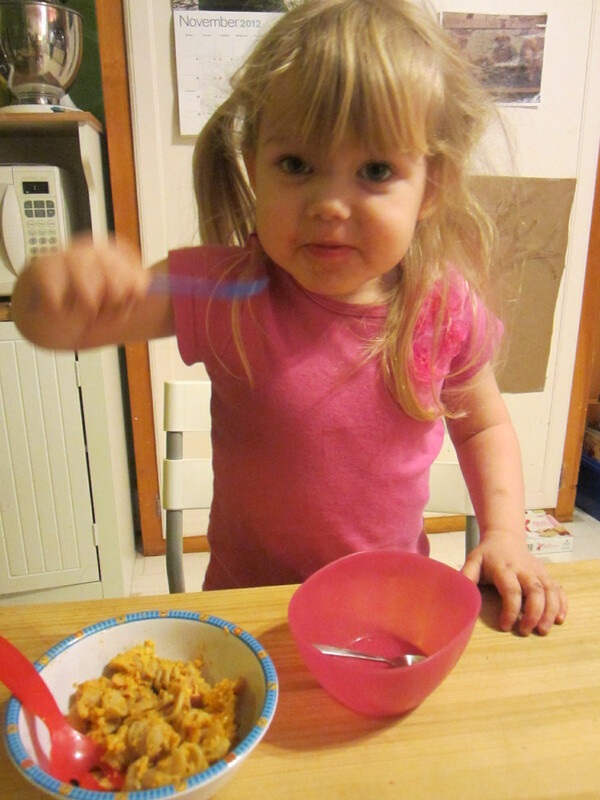 Molly tasting the pumpkin pasta. I was hoping that the pumpkin would be neutral and not overpower the cheese, but it came out a touch sweetly pumpkinny for the grown-up palate. 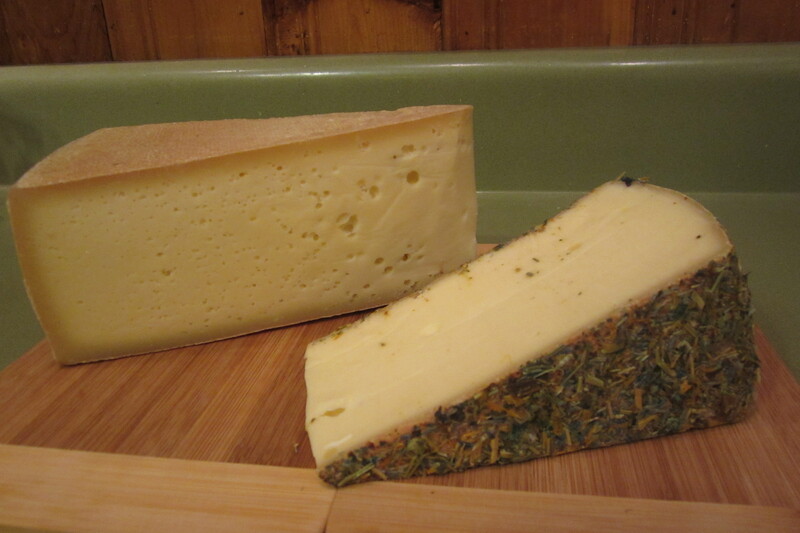 I think it might have been better with a stronger-flavoured cheese, like a Gruyere or goat cheese. As well the ham got a bit lost, so I would be tempted to replace it with either a mild Italian sausage to complement the pumpkin or a salami or Chorizo sausage to spice it up a bit. What do you think? Appealing or yucky? How do you deal with dinnertime meldowns? Holy vats of chili, Batman! A committee that I am on at my church (okay, full disclosure: The committee to prepare for a congregational vote regarding the marriage policy, as described in a previous post) is hosting a lunch and discussion session this coming Sunday. 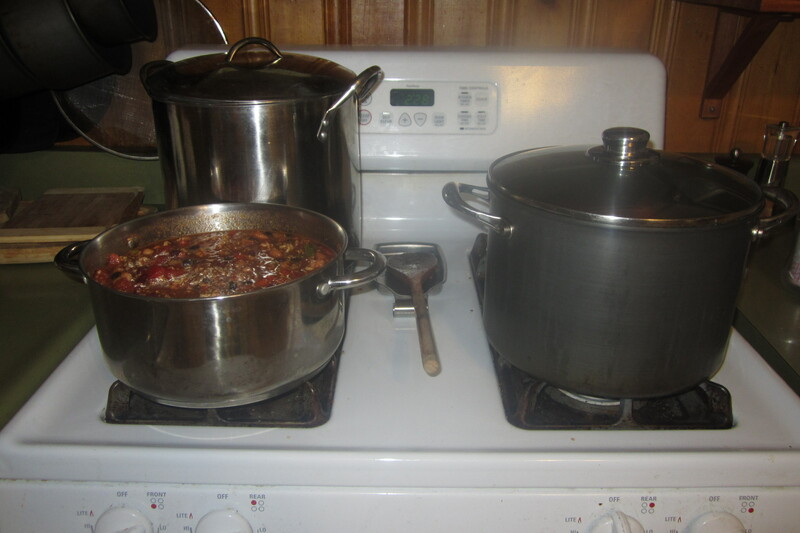 Racked with guilt because I cannot be there for the actual discussion, I volunteered to make chili for the lunch. 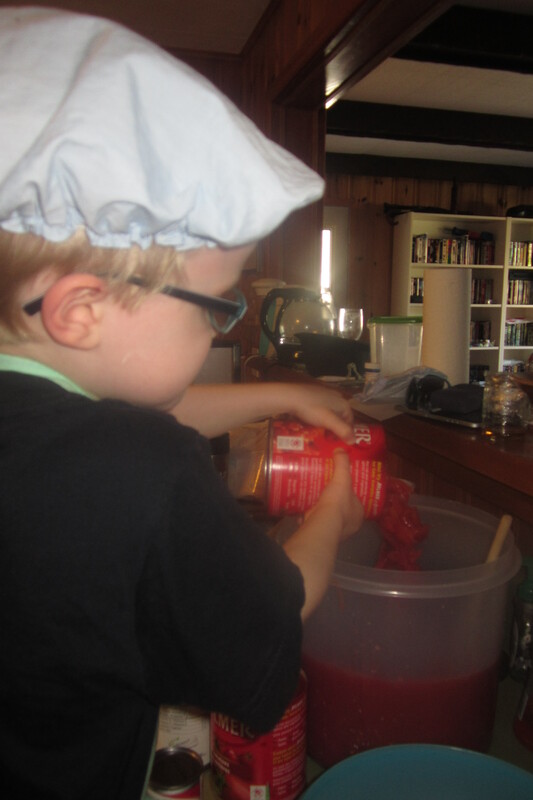 We have no idea how many people will actually attend, but we optimistically decided to be prepared for 40-50, so this afternoon I found myself making giant vats of chili, which actually went much more smoothly than I ever could have imagined, even with Ben’s “help”! Brown ground beef and onions together in skillet. Transfer to large kettle. Add the remaining ingredients and cook over medium low heat. Cook until heated well and most of the liquid is cooked down. 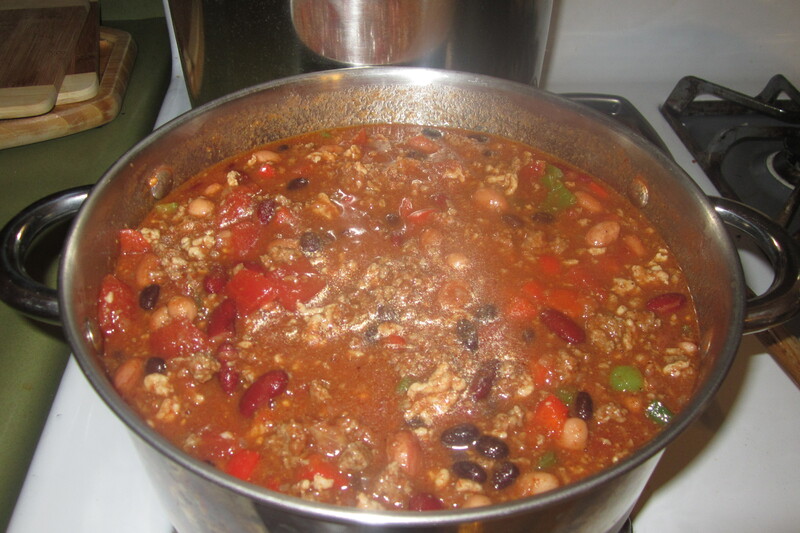 This can be adjusted easily according to your own taste for thicker or thinner chili. I got it home and started chopping, making good use of my trusty Cusinart Mini-Prep food processor (fantastic for making family meals into baby food as well as for finely chopping onions and garlic!). 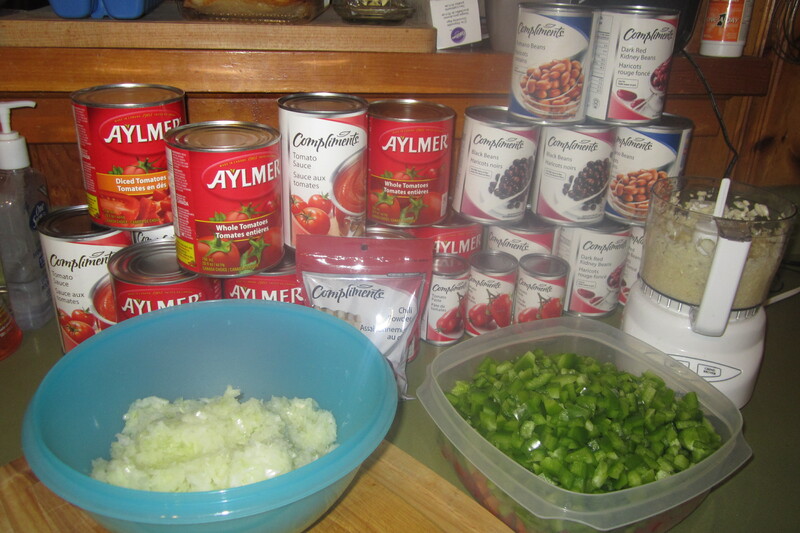 Ingredients assembled: Finely chopped onion and garlic, diced peppers, and a vast array of canned tomatoes and beans. 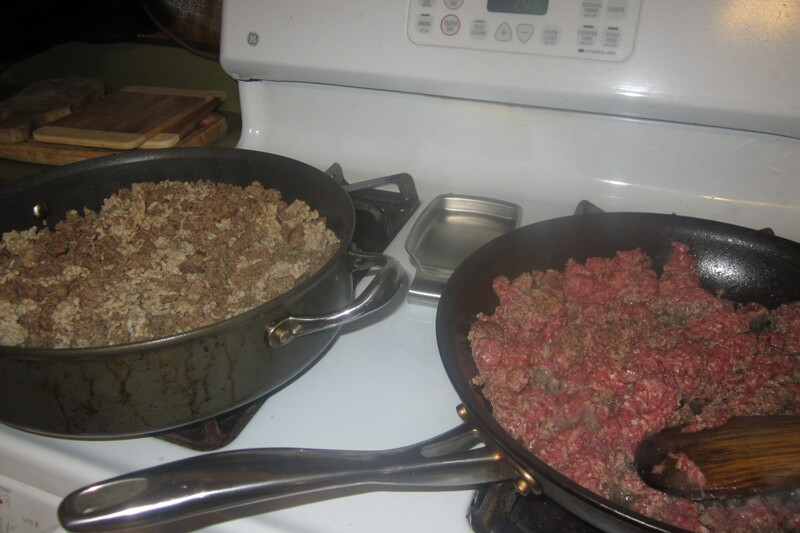 Ground beef and pork cooking on the stove. and put Ian and Ben to work opening cans. 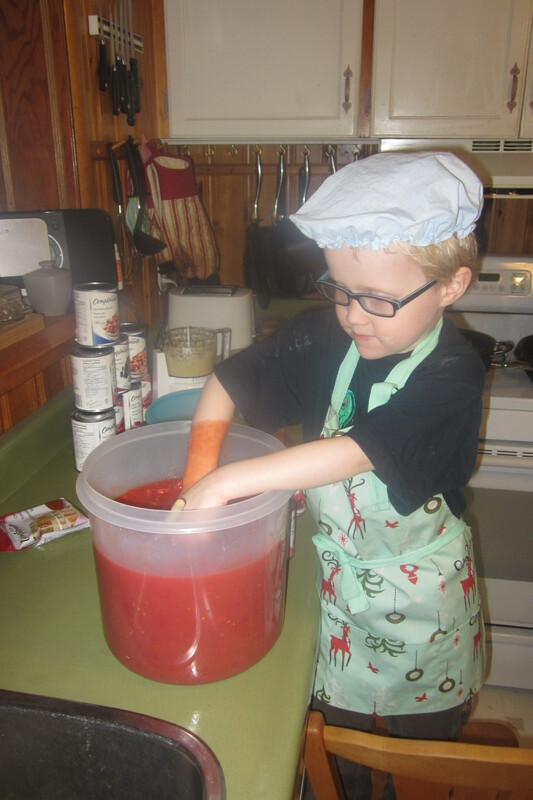 Ben pouring tomato sauce into the giant vat o’ tomato. at the wrath of Sir Ben! Once all the meat was cooked, I cooked the onions, garlic, and peppers in batches, mixed them with the meat, and assembled my vats o’ ingredients. 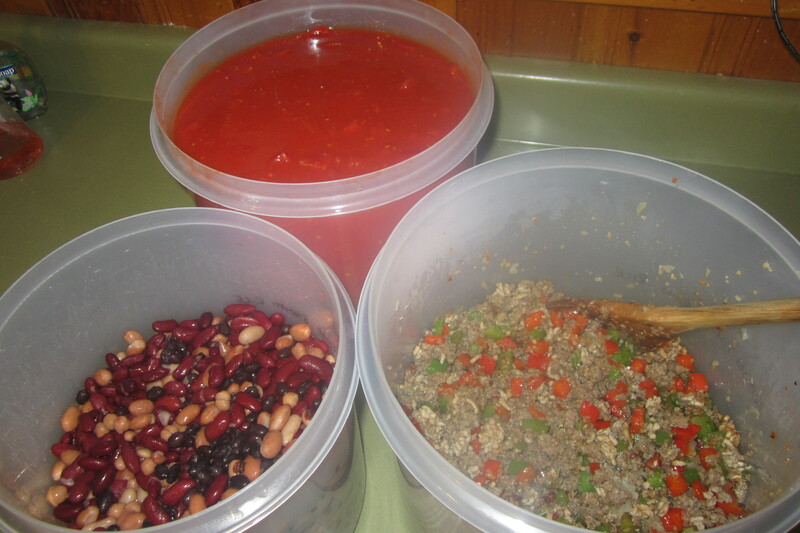 Vats o’ ingredients: Tomato mixture, meat/onions/garlic/peppers, and mixed beans. Finally, I mixed it all together in my three biggest pots, trying to keep the ratio of ingredients as even as possible, and added liberal amounts of chili powder to each. My 3 biggest pots barely fit on the stove together! It looked pretty good mixed together, and smells pretty fabulous simmering on the stove. I plan to add the frozen corn when it’s finished to help cool it down. Stay tuned until next week when I will hopefully hear how the congregation liked it – Same BAT-TIME, same BAT-CHANNEL! *Please note that the relish was figurative. Real relish would have been gross. 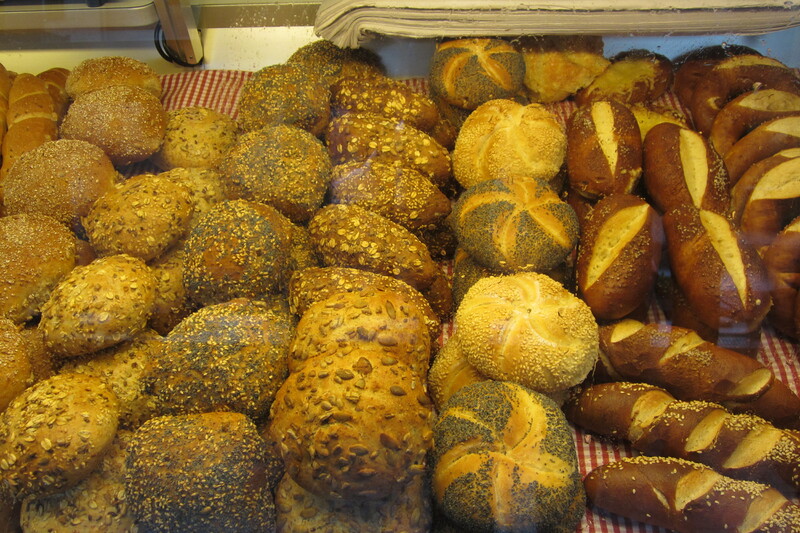 Every morning started with someone, usually Grandad, venturing to the bakery (or “makery,” as Molly termed it, which makes a sort of sense) with one or two children in tow to pick up fresh rolls (and gummy bears for the kids – breakfast of champions!). These would be served at the breakfast table along with soft-boiled eggs, fresh-churned butter, assorted jams, ham and salami, and local cheeses, most notably the delicious Heumilchkäse and Blumenkäse (literally, hay-milk cheese and flower cheese). The Heumilchkäse has a distinctly barnyard aroma and strong flavour and the Blumenkäse is milder and rolled in dried wildflowers. Heaven for a cheese-lover like myself! Ian wasn’t quite so enthralled and the kids were for the most part indifferent. 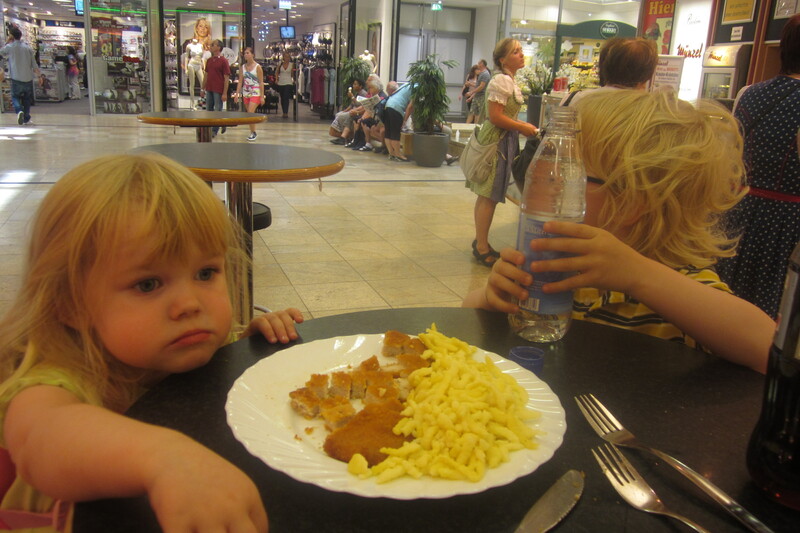 I have to confess to a weakness for Schnitzel und Spätzle so I sampled both as often as I could. 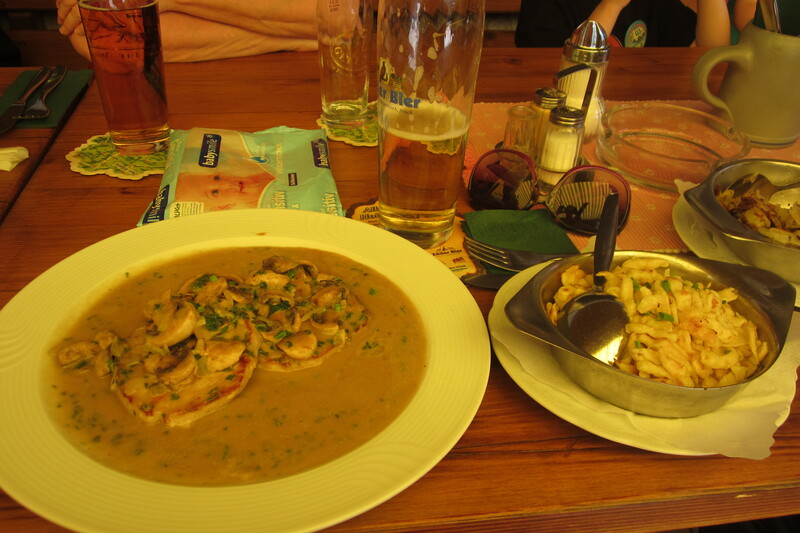 My first opportunity was outside of Munich when we went to get the estimate for my (*sniff*) broken stroller (*sniff*) where we stopped at a hole-in-the-wall restaurant and I had Schnitzel mit Pfeffer-Sahnesauce und Spätzle (schnitzel with peppercorn cream sauce and spatzle noodles/dumplings). I was so hungry that I ate it all without thinking to take a picture first so unfortunately I have no record except for the memory of its utter deliciousness, but the sauce was creamy and amazing and the spatzle was plump and had been crisped to golden perfection. 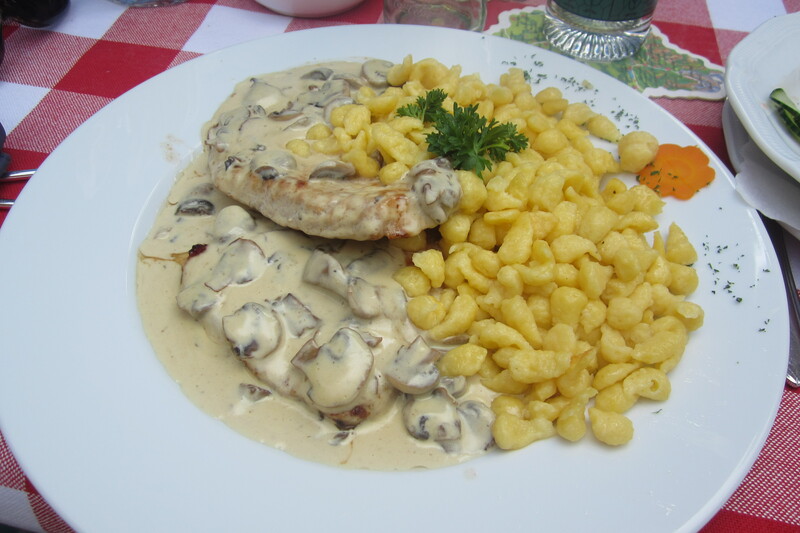 We enjoyed a lovely meal al fresco at the Biergarten across from the house where I had Champignon Schnitzel und Spätzle (schnitzel with mushroom cream sauce and spatzle). I realize that I have unfairly painted all of the German chefs with the same brush – as you can see this meal did include some green and orange! On another beautiful sunny day out we again had lunch on the patio of another local restaurant where I had (you guessed it!) Jägerschnitzel und Spätzle (schnitzel with mushroom gravy) and a Radler (half Pilsner, half Sprite). Yes, I may have a Spätzle problem. 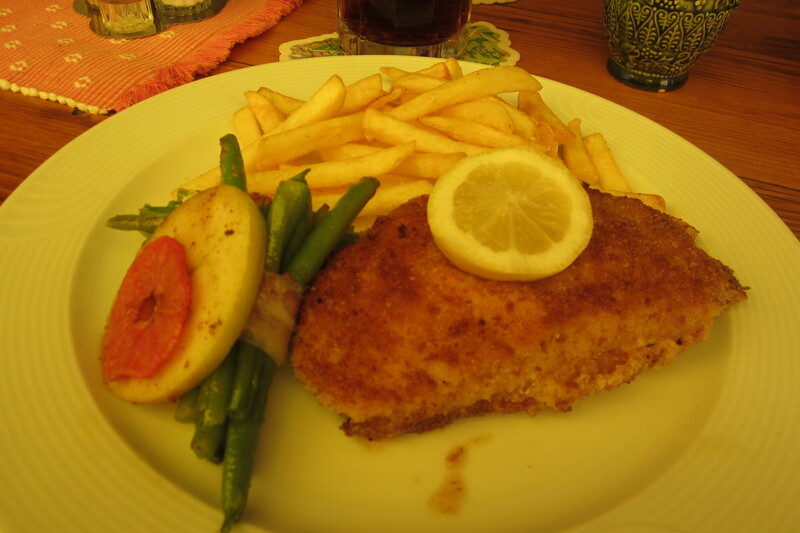 Ian went off script and had Hähnchen-Cordon-Bleu mit pommes (chicken cordon-bleu with french fries). 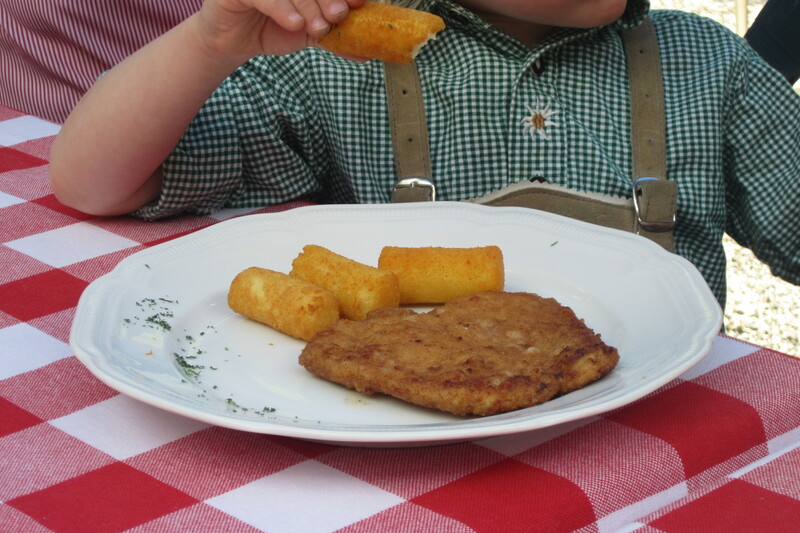 Once again, I realize that I was unfair to the German chefs as his meal also included a variety of vegetables. Bundled together with a strip of bacon. Sometimes of course we needed a break from the heavy German food. 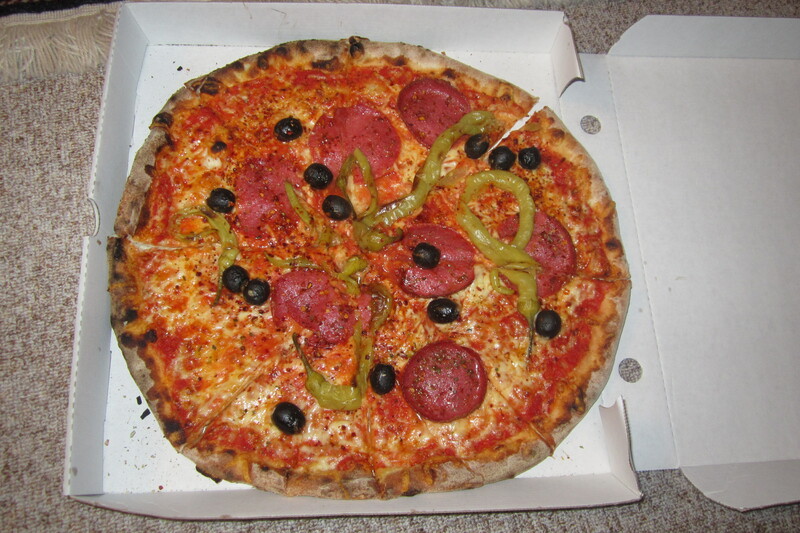 Fortunately there was an excellent take-away pizza restaurant down the road that did European-style thin crust wood-fired pizza with every topping imaginable. 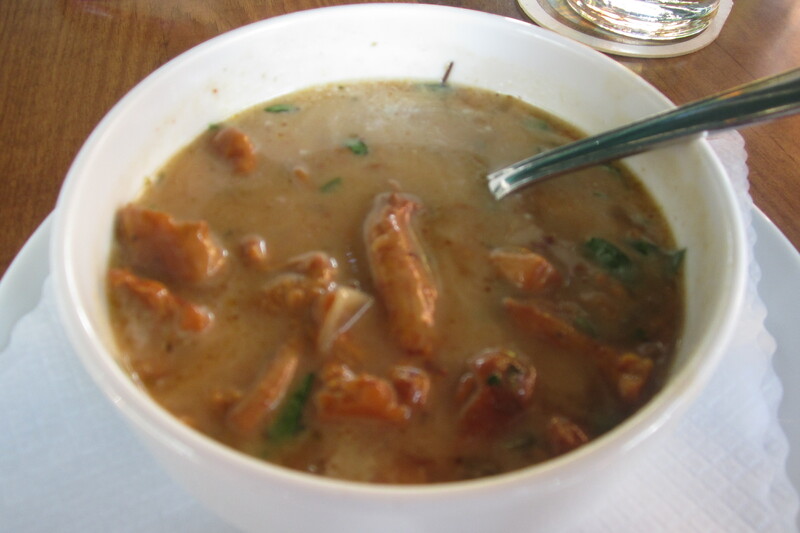 and a bowl of Pfifferlingen Cremesuppe, a cream soup of the locally in season Chanterelle mushrooms. As comfortingly delicious as it all was, the first thing we did when we got home was head to the grocery store to stock up on a fresh, crisp, brightly-coloured assortment of fruits and vegetables. I ate half a cantaloupe for dinner yesterday and I may swear off white flour for good.